The appeal filed late last year in the lawsuit aimed at restoring MEPA environmental of impacts from the Langwood Commons development project at the former hospital site is expected to be heard this spring in the Massachusetts Appeals Court. If the Appeals Court asks for argument on the briefs filed late last year, it is likely to be scheduled in the next few months. 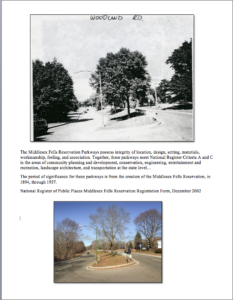 The suit filed by Friends of the Fells, ten individual citizens, and the City of Medford seeks to counteract the attempt by the developers – with the concurrence of the Department of Conservation and Recreation (DCR) – to proceed with the development without completing environmental impact review of the impact that 4,500 new daily traffic trips would have on historic parkways and the Fells Reservation. and protected from alterations that would adversely affect their scenic and historic characteristics. Prior to 2009, DCR and the Secretary of Energy and Environmental Affairs had rejected the developers’ attempts to avoid completing environmental review by insisting that under state law the developers are required to complete the MEPA process to identify a reduced scale for the project before commencing any construction. In a letter to the environmental affairs Secretary dated June 4, 2009, the developers reported that traffic would be reduced from 5,000 to 4,500 daily trips. Instead, based solely on the small decrease in projected traffic, DCR stated that the developers’ project could proceed without any parkway mitigation at all. In December 2013, the Secretary’s MEPA Director cited this DCR letter in a new Advisory Opinion that removed the project and its impacts from MEPA jurisdiction, thereby voiding the developers’ MEPA obligation to present a reduced-scale project plan that could be built without bringing harm to the parkways. Allowing the developers to build their project at its current scale would result in worsening traffic congestion and safety problems for the parkways. 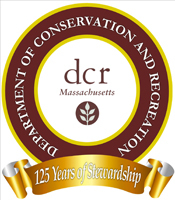 This would then force DCR either to demand that the developers obtain a permit to modify the parkways after the project is built, or to undertake extensive parkway changes using taxpayer funds. With traffic at such a large volume, there would be no way to prevent traffic alterations that would harm the scenic and character-defining features of the adjacent historic parkways. This “segmentation” of the development project from its expected impacts in order to evade MEPA environmental review is at the heart of the lawsuit which aims to restore the Langwood Commons project to MEPA jurisdiction so as to minimize and prevent damage to the environment in the Middlesex Fells Reservation.